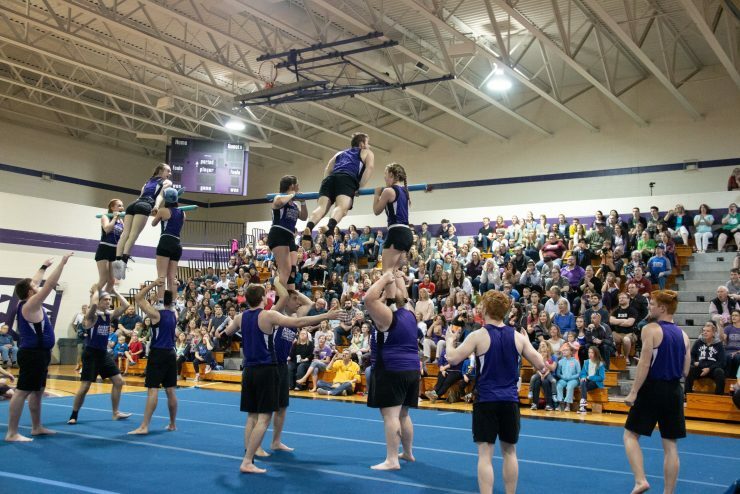 Rings of fire, stunts, flips and spins abounded in Asbury University’s Luce Physical Activities Center on Friday night. But this wasn’t the circus. 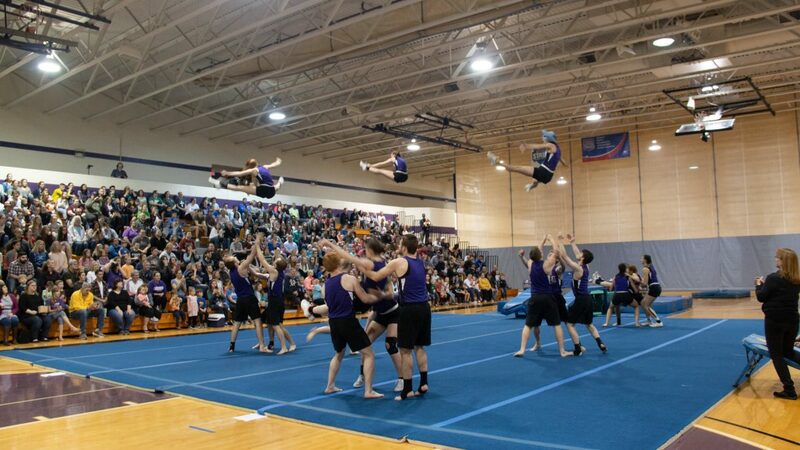 It was Asbury’s Tumbling Team performing in their annual Jym Jamboree show. View a photo gallery below! 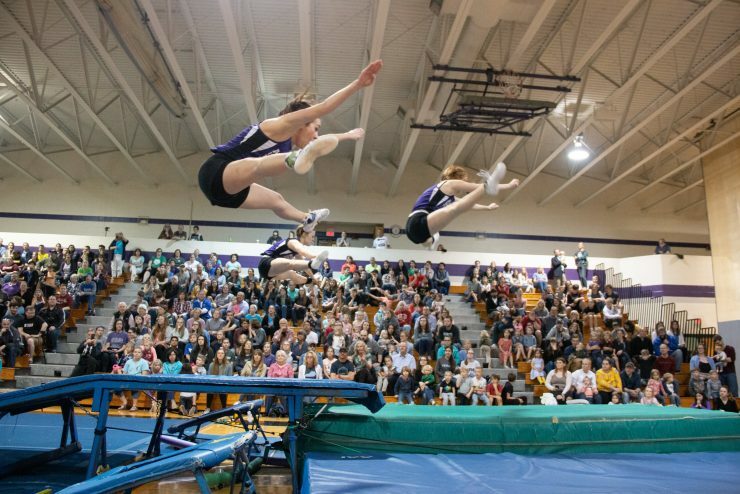 For over 50 years, the Tumbling Team has used a unique combination of gymnastics, acrobatic stunts and trampoline work as a way to show others the love of Christ. 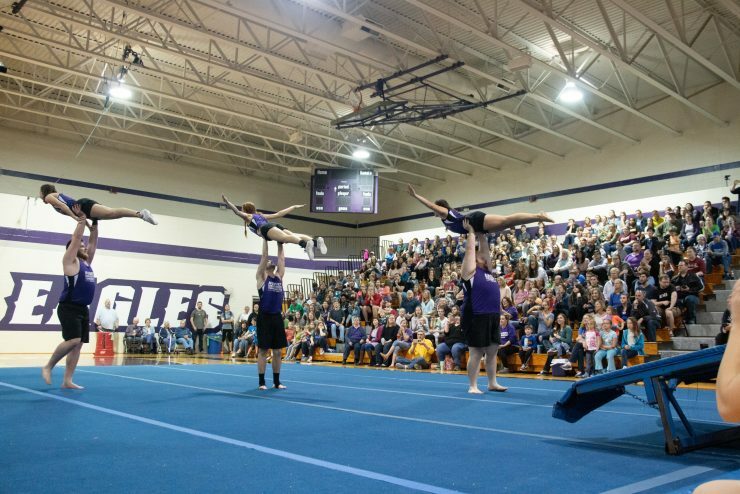 Jym Jam is an annual tradition that showcases what the athletic ministry team has been working on over the course of the academic year. 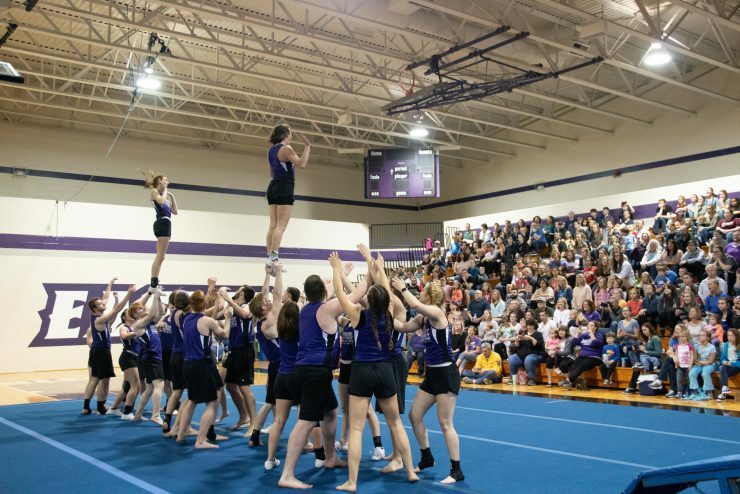 In addition to this annual on-campus performance, the Tumbling Team also performs for churches, schools and other community organizations during spring break each year. 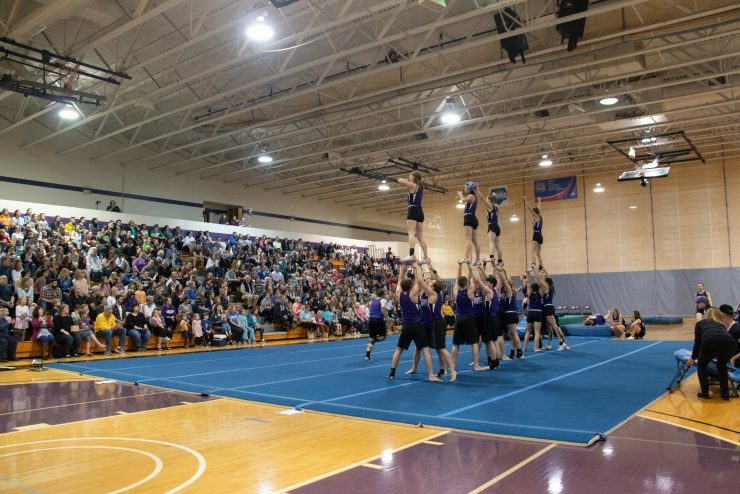 For Daniel Baldwin ’20, the Tumbling Team was a major factor in his decision to come to Asbury as a freshman. As a Youth Ministry major, Baldwin has especially enjoyed getting to use his talents in gymnastics and stunting to be a witness for Christ. Baldwin always looks forward to getting to show his fellow students and community members what the team has been working on. 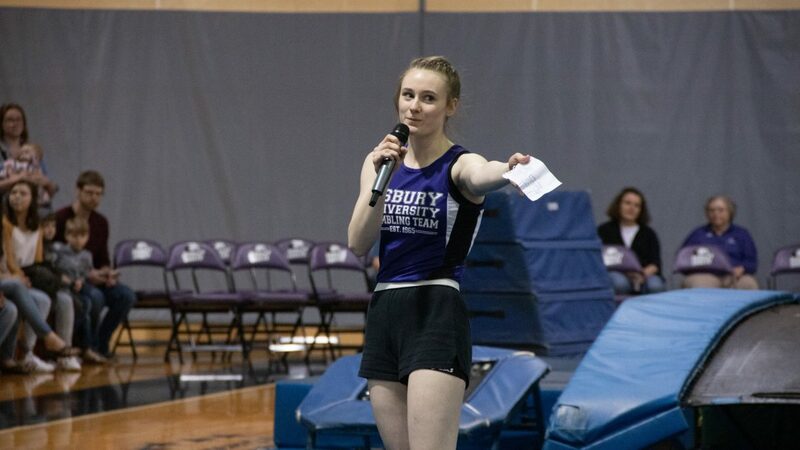 Catherine Daflucas ’20 was excited to showcase something new this year, as the tumblers used choreographed fighting for the first time in one themed segment. “I am most excited about our new section, I don’t know how it will compare to the ‘Greatest Showman’ [theme] last year, but I am very excited about it,” Daflucas said. This year’s show featured a segment paying tribute to Marvel films as team members dressed as characters such as Spiderman, Wonder Woman and the Hulk. 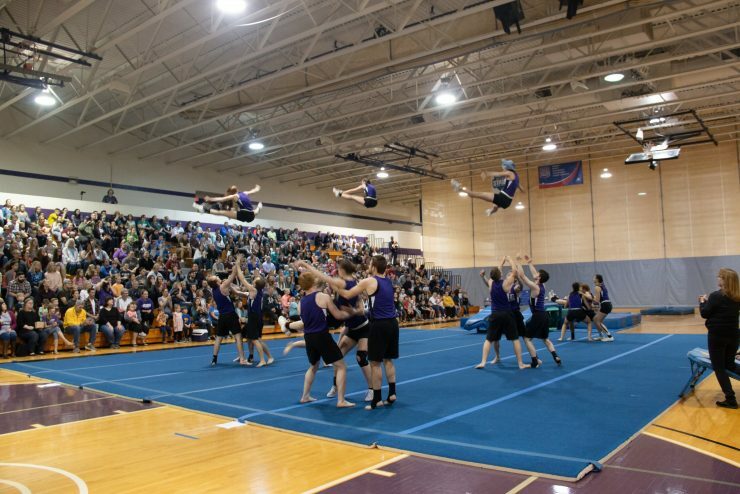 The audience of Asbury students, Tumbling Team alumni, parents and community members were wowed by the stunts and acrobatics as students flew across the gymnasium and leapt across the mats. The children in the audience were especially delighted to be invited onto the mat for a special segment of the show wherein tumblers soared through the air above them, doing flips on the trampolines. The ministry aspect of Jym Jam was especially inspiring as two students shared brief testimonies during the performance. 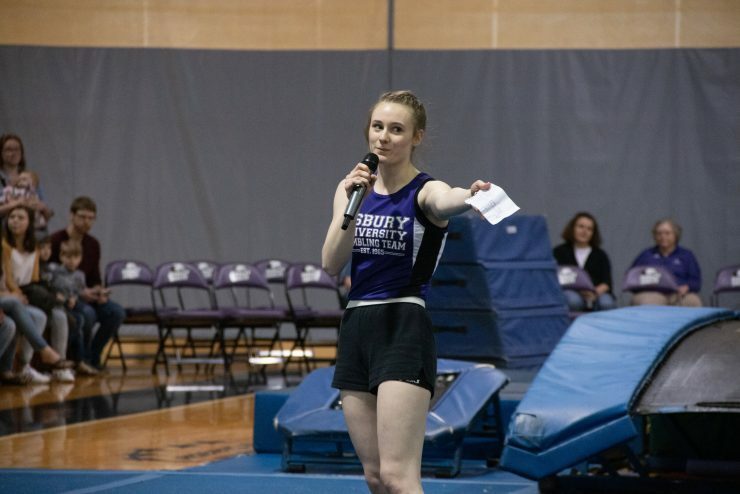 Deich shared how this verse has been illustrated in her own life and her journey from quitting gymnastics as a child to later meeting Tumbling Team Coach Holland Michael and reviving her passion for gymnastics at Asbury. Now, Deich plans to use her story in ministry, working as a gymnastics coach, encouraging children and leading them away from the destructive perfectionism she faced in the sport as a child. Jacob Herm ’19 also shared an important message, using a dollar bill in a beautiful illustration about how we all have worth in Christ. Tumblers also used song and choreography to tell redemptive stories. At one moment in the show, they performed a stunning choreographed piece in which three students battled against the giants of failure, rejection and insecurity, ultimately finding relief in the Father. 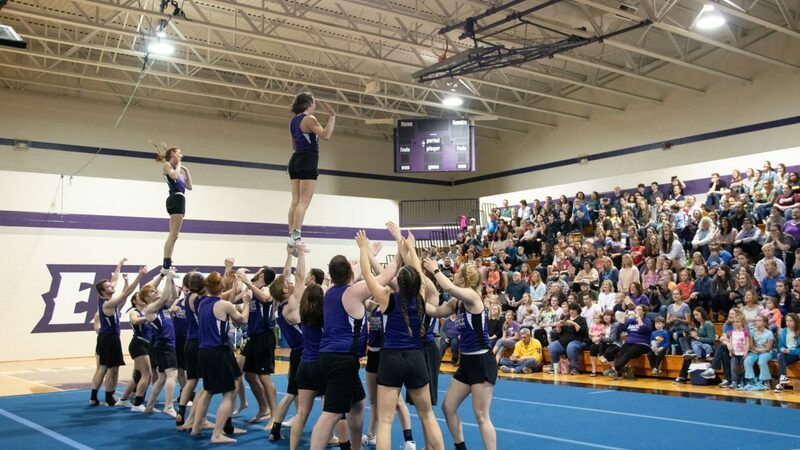 Asbury’s Tumbling Team is one of many exciting ministry opportunities that students can partake in during their college career at Asbury. Find out more about other service and missions opportunities at Asbury. 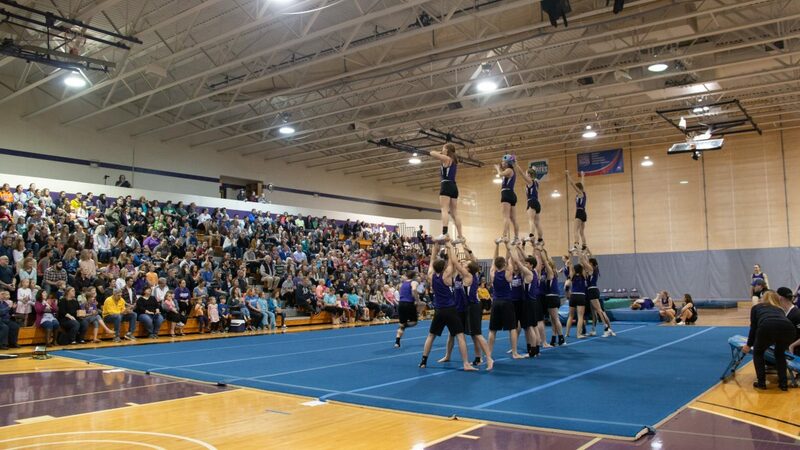 Learn more about the Tumbling Team at Asbury University.